When I go to buy sheets, I am amazed and confused by the dizzying options and varieties. I had thought that thread count was the only important factor to consider, but after ordering some on line that turned out (to my dismay!) feeling like cardboard – I decided to do a little research. Thread count is important (it is the number of threads per square inch) BUT it does not necessarily represent quality. Fiber. Cotton-polyester blend sheets are wrinkle-resistant, durable (polyester lasts longer than cotton), and relatively inexpensive (up to half the cost of all-cotton). But if you’re looking for that cool, soft feel, nothing beats 100 percent cotton. You’ll hardly ever wake up clammy on cotton sheets, since the fiber wicks moisture away from your skin. And cotton sheets are less likely to stain than polyester blends; a water-loving fiber, cotton releases dirt easily when wet. Good options are Egyptian cotton, pima, supima, organic cotton, and bamboo. Weave. The weave affects everything about the sheet – how it looks, the way it feels, its longevity, and its price. Two common choices are percale (which has a crisp, cool feel) and sateen (which is softer and warmer). Source. The sheets origin can make all the difference in quality. France and Italy are considered some of the best sheet-maker. Experts say 200-thread count sheets from Italy will be better quality than 1,000 thread count sheets from Pakistan. 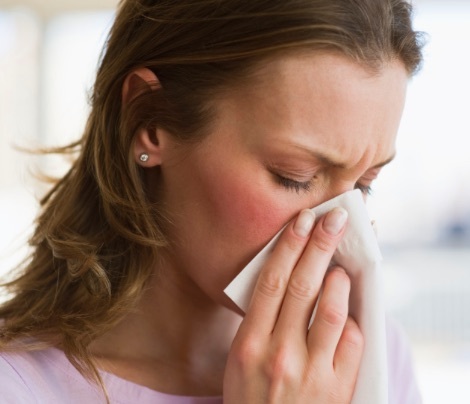 Is your home aggravating your allergies? Spring is here and allergies in the Nashville area are about to skyrocket. Although we can’t do much about the pollen outside….we can take steps to improving the air quality inside our homes. Protecting yourself from household allergens can be a daunting task, but start simple and you might see quick results. * Use two doormats at every house entry point — one inside and one outside. * Take off your shoes when you enter the house. * Vacuum carpets weekly using a vacuum with a small- particle filter. * Damp-mop floors once a week. * Wipe down surfaces with a damp cloth once a week. * Hang machine-washable curtains instead of heavy draperies. * Encase mattresses, box springs and pillows in dust-proof zippered covers. * Wash bedding in hot water once a week. * Repair cracked or broken caulk and tile in the bathroom. * Always run the bathroom exhaust fan when you take a shower. * Clean out under the kitchen sink and check for leaks. Monitor the humidity in the air (ideal is 30 — 50 percent). * Change air filters once a month. If you can only make a few changes, start with your bedroom — you spend about one-third of your time sleeping! And, if possible, go to an allergist and find out what you are allergic to. This will help you focus your efforts and make sure you are treating the right problem. It’s not too late to prune your crepe myrtles! 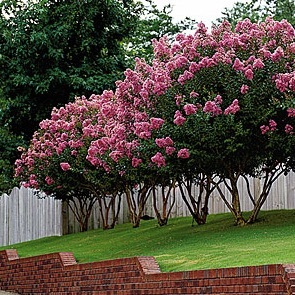 If you live in the Nashville area – or almost anywhere in the south, crepe myrtle bushes are one of the most beautiful flowering shrubs. During the late spring and into the summer, depending on the variety, these bushes fill with large clusters of red, pink or white blooms. To keep them at the desired height and in the desired shape, pruning needs to be done each year during the bushes’ dormant stage. If a year or two of pruning is skipped, or if you purchase a property that has existing overgrown crepe myrtles on it, you may have to do a more severe pruning to bring the flowering shrub back to its original glory. “Crepe murder” is a term used to describe the pruning technique that leaves the crepe myrtle bushes looking like bare sticks with pom-poms protruding from the stick tops. The correct way to prune crepe myrtle bushes is to simply prune away last season’s growth during the winter when the bush is dormant. Prune away the long, dormant limbs that grew during the summer and all of the seedpods. Also cut away sucker growth that sprouts from the bottom of the bushes’ trunk. Before you start, it’s a good idea to know what you’re trying to accomplish – you can always go back and cut more. The objective is to maintain well-spaced, main trunks with handsome bark and to thin out the center to permit easy penetration of sunlight and air. Late winter is the best time to prune a crepe myrtle, because it’s leafless and you can easily see all of the branches – but it’s not too late to do it now. This weekend, go out and enjoy the warmer temperatures we’ve been having and prune back your crepe myrtles and enjoy them in your landscaping for years to come. Cook the poblanos and jalapenos under the broiler for about five minutes on each side or until thoroughly blackened. 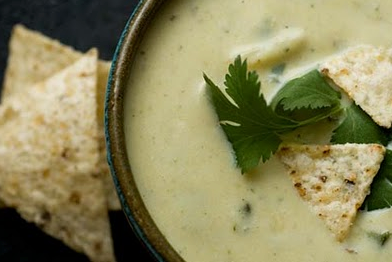 (The jalapenos will probably cook faster so remove them first) Place poblanos in a paper bag, close it and let them steam for 15 minutes. Meanwhile, remove stems from jalapenos and dice. Note: We used Vegetable stock and added some corn and white hominy to the pot. Plus we served it with little dollop of sour cream. Take your evening walks safely! Visibility protects you and your pets. When I get home in the evening – I am greeted by my 2 dachshunds that are anxiously waiting to go for their walk. I have to admit, even when I don’t feel up to it, how could I possibly disappoint them? It’s usually dark outside this time of year – so I go through the ritual of putting on my reflective vest (only $4.35 at http://www.esafetysupplies.com/) and then I clip the safety lights to each dog’s harness (if that bothers your dog – I sometimes put it on my wrist) Yes…you can definitely see us coming! PLEASE take the time to put reflective gear on yourself and your dogs. I am constantly amazed and aggravated at the clueless drivers who don’t slow down or move over in the road as they pass by. I have found the best selection of reflective items are at the large sporting good stores and online. 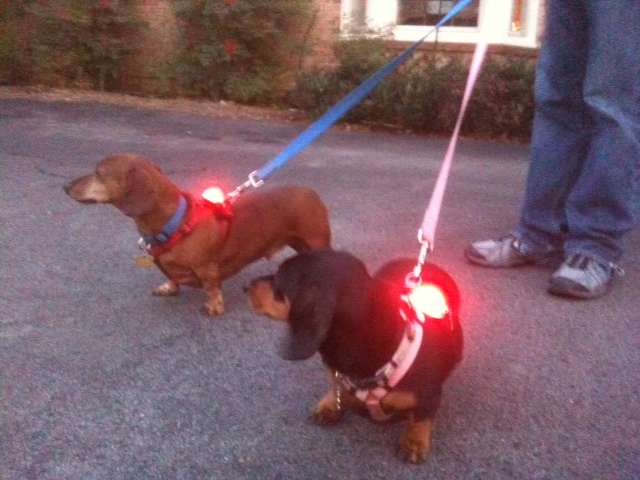 The safety lights for the dogs that I use are actually ones that are sold to go around the wrist of a person – but work great for them as well when I attach it to their harness. Ideally, try take your daily stroll when it’s light out – but if that’s not possible – please take these precautions to stay safe! 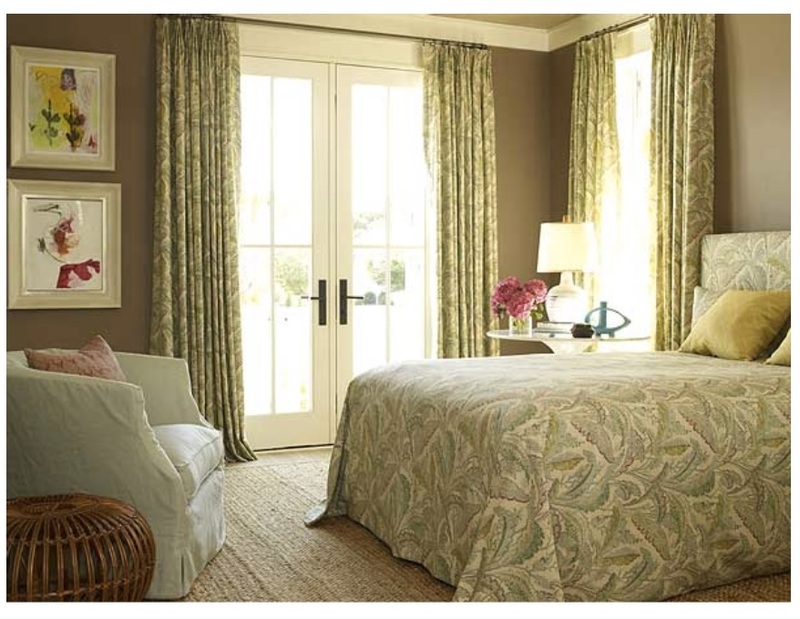 Make your guest room a “home away from home”! The holiday season tends to bring house guests into our homes and it takes just a little preparation to make that extra bedroom truly a “guest room”. * First, clean it up and de-clutter. Clear out what you may have been using as storage space, making room in the closet (along with nice hangers) for your guest’s clothing. * Decorate! Oftentimes a guest room is the one of the last places to get paint and art on the walls. Now is the perfect time to give it a little extra attention. 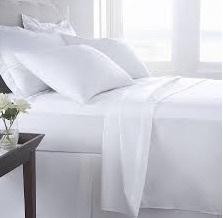 * Provide crisp, clean, and coordinated linens for your overnight guests. Most discount stores have large selections of discontinued styles of designer sheets and lovely imported towels. A fluffy down comforter (actually a “down alternative” in case of allergies) will keep your guests cozy during chilly nights. * Books & magazines (maybe even a book of crossword puzzles?) for their nighttime reading, a television, a few bottles of water, an alarm clock, a night light, and a power strip for their electronics. * If space allows, include a comfortable chair and ottoman in the guest room to give them a place to relax and little privacy. * In the guest bathroom include the essentials just like a hotel. A fresh bathrobe, plenty of towels, shampoo & conditioner, lotion, and a new toothbrush and toothpaste. (Put these items on the counter in plain site). * A small vase of fresh flowers is a thoughtful touch to make your guests feel special. (Be careful of any strong scents since your visitors may be sensitive). * Finally, prior to your guests’ visit, spend the night in your guest room and use the guest bath. You would be surprised of by what you might find! I did last week and discovered a slippery tub, a sluggish drain, and a poor reading light. Most of all…enjoy opening your home and spending time with those you love. I’m excited about the house guests we have coming next week! A home that is unoccupied. 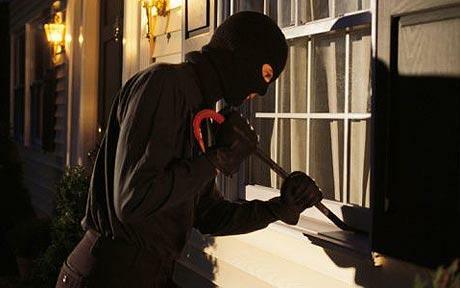 More residential burglaries occur during the day (often mid-day & mid-week) because homes tend to be vacant more often. Also over typical vacation periods, burglars look for signs that its owners have left for a period of time. When you are away for more than a day…. Have your telephone calls forwarded to your cell phone number. Rather than stopping your mail & newspaper – have a trusted neighbor or friend pick it up for you daily. They can also look for any packages that may have been delivered. Arrange for someone to put your garbage cans out at the street, and bring them back in. Do not hide spare keys outside of your home. Instead, give one to a trusted neighbor. Do not provide house keys to service people. A barking dog inside of your home is definitely a deterrent—in our case 2 ferocious dachshunds :). They will pick a silent home rather than confronting your pet. Secure your patio door with a pin-type lock, key lock, or a steel rod inserted into the door channel. Arm your house with an alarm system. Make sure it is very loud, and has glass breakage protection. It’s also a good idea to have motion detection inside if at all possible. Place the alarm company’s sign by the road, on your doors, (front, back, patio, etc.) and even small stickers on first floor windows. When moving to a new residence, be sure to have the locks changed. One more thing: Be alert when you are home. Keep your doors locked when you may be napping or concentrating heavily, and always keep a phone close at hand. Live smart, not in fear. Most of this is common sense and all we need are a few reminders. The goal is to make your house one of the least desirable targets of a burglary. • Buy smaller. A sofa or love seat is much easier to stage in a conversational group with two chairs than a big sectional. • Buy solid colors. Any solid color upholstery is easier to stage than a print. If you want to add pattern – do so with throw pillows. • Avoid “sets of furniture”. Odd collections and groupings can create a more sophisticated style and “eclectic” look. • Avoid country furnishings. A country piece here or there is fine – but don’t over do, making it look too “cute”. • In bedrooms it’s always good to highlight a bed with attractive bedspreads, duvets, and pillows. You can create a very high-end look if you buy good quality. 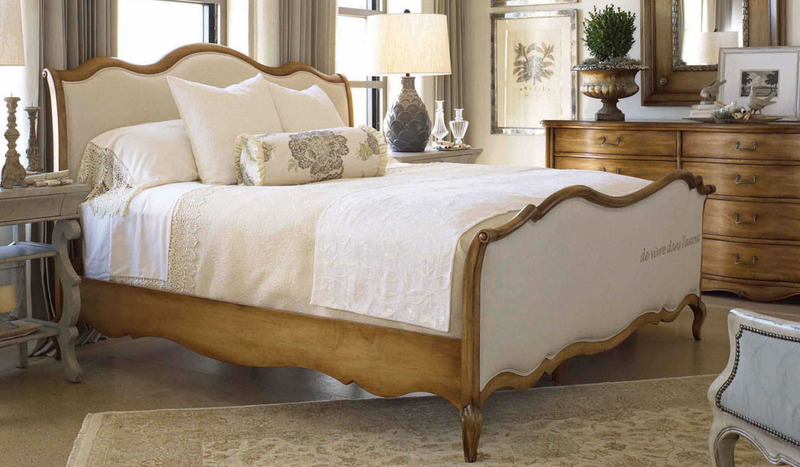 If the bed is large – use a light colored spread. Don’t over crowd the room, but if it is large enough, create a sitting area for two people. • Don’t line every wall with furniture. It will make the rooms appear smaller. • Be sure to add furniture and decorating touches to your outside living areas. These have become extensions of living space, and they are enticing to future buyers. Most of all…have fun! The beautiful environment your family can enjoy now will make it more ready to show if you decide to sell it in the future. Most of all…have fun! The beautiful environment your family can enjoy now will make it more ready to show if you decide to sell it in the future. There has definitely been a surge in housing prices over the past year here in middle Tennessee. I believe housing prices have plenty of room to move higher if the wider economic recovery remains intact. Sure, some home buyers are wondering if the market has gotten ahead of itself. Yet this past summer and into the fall we saw fence-sitters get motivated to buy before prices rose further. Also, rising mortgage rates have further spurred buyers to lock in rates before they climb higher. A factor to keep in mind is that higher borrowing costs could eventually price some buyers out of the market. Sellers, however, cannot get overly confident – “I’m putting my house on the market at a high price just to see what I can get. What’s wrong with that? Who knows, maybe I’ll get lucky!” We’ve all heard that expression, “Let’s throw it all against the wall and see what sticks!” This is the same principle and a very misguided approach to pricing. Sure, a few people do get lucky, but pricing according to realistic market prices is a seller’s best tool to a fast and profitable sale. Poor pricing may lead a seller to experience a back lash resulting in them getting less for their property and missing the opportunity of getting multiple offers. It will also prolong the time it takes to sell and, eat up valuable time on the real estate market. Sellers run a great risk if their house sits on the market too long. At that point the home can become a dead listing and a target for vultures and bargain hunters. Ultimately sellers will end up selling their house for less than they would have had they initially priced it correctly. You only get once chance to make a good first impression. My advice is to work with a knowledgeable Realtor who knows the market and can guide and give you professional advice. You need all the facts before selling one of your most financially valuable possessions. Please contact me..…I would love to help! I learned about this last year and think its such a great idea! According to the website http://www.actsofkindness.org, February 11-17 is designated as Random Acts of Kindness Week. The goal is to perform at least one act of kindness each day, and enjoy the wonderful feeling that comes from it. Who knows…it could carry over throughout the year and your community could certainly be a happier place. Let’s all give it a try!